Practice: General massage therapy with particular background, interest and training in cancer and chronic disease. Treatment is tailored specifically to the needs of the individual client, combining techniques from Swedish Massage, Accupressure, Polarity Therapy, Lomi-Lomi, Trager, Lymphatic Drainage and Quantum-Touch. State of Maine Massage Therapy License #2134 - Office of Licensing. Nationally Certified - National Certification Board for Therapeutic Massage and Bodywork. Professional Member - American Massage Therapy Association. Certificate, 2004 - Massage in the Oncology Setting (Gayle MacDonald) -Outpatient Therapy, Radiation Oncology, Bone Marrow Transplant and General Oncology Inpatient Units at Banner Desert Medical Center , Mesa, AZ. Certificate, 2004 - Massage for People Living with Cancer (Gayle MacDonald). Banner Desert Medical Center , Mesa, AZ. Founder, past Director, past Corporate Secretary and past Webmaster - Society for Oncology Massage, Inc. Recipient, 2007 - Shining Star Award "For Humanitarian Contribution to Massage and the Cancer Community", Maine Chapter - American Massage Therapy Association. Featured, 2007 - WCSH-TV6 feature about the Cancer Community Center Buddy Program. View video.. Recipient, 2008 - 6 Who Care Award - United Way of Greater Portland & WCSH6. View video. Education: BS, MIT; MBA, Dartmouth. 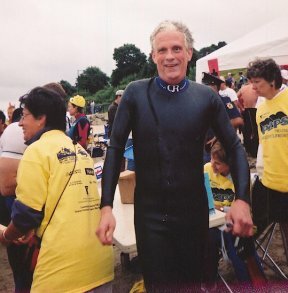 Swimmer - 3 miles/week, 6 time survivor of the annual 2.4 mile Peaks Island to Portland ocean swim. Diagnosed in 1997 with chronic lymphocytic leukemia (a very slow moving, but so far incurable cancer). Office hours are Tuesday mornings at the new Mercy Hospital and Wednesdays and Thursdays from 1:00 to 5:00 at the Cancer Community Center. Other times may be arranged. I can usually be reached at (207) 831-8067 (cell). If I am not available, please leave a complete message and I will return your call as soon as possible. Please give me 24 hours notice if you must cancel. Please arrive 5 minutes early for your appointment. If you arrive late, the session must usually end at at the scheduled time. If I must cancel an appointment, I will try to do so at least 24 hours in advance. *My practice is oncology oriented. There is no charge for cancer patients and caregivers from diagnosis through surgery, chemo, radiation and beyond. Contributions toward office expenses are gratefully accepted but are not expected. I accept cash and checks. Most clients prefer to pay before so they can float out afterward. I am unable to accept insurance. If a client is dissatisfied with a session and no other arrangement can be agreed upon, a 50% refund will be made. Since my 1997 diagnosis of chronic lymphocytic leukemia, the Cancer Community Center has been a blessing in my life, as it is for so many others. My experience with cancer and the Center called me to a new career as a massage therapist working with people affected by cancer and chronic disease. I sold my business, retired and completed a one year program at the Downeast School of Massage in Maine. The DSM program is strongly science based and is nationally certified. I then took specialized training in "Massage for People Living with Cancer" and "Massage in the Oncology Setting" at the Banner Hospitals in Mesa and Phoenix, AZ. There I worked in the Out-patient Therapy Center, the Radiation Oncology unit, the Bone Marrow Transplant unit and Oncology medical and surgical In-patient units. I learned that body positioning, the areas of the body massaged, technique and the pressure applied must sometimes be adjusted. But, there is a relaxing and healing massage for every stage of the cancer experience. Amazingly, even on really bad days, comforting and attentive bodywork reminds clients that their bodies can still be a source of pleasure. 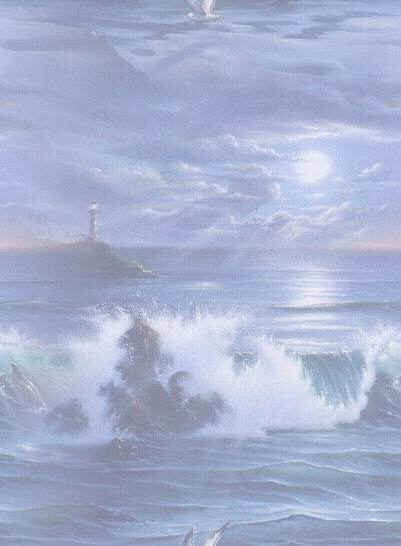 The deep relaxation reduces the pain, fatigue and nausea and, for a time, they are wholly at peace. What a blessing! Recovery from cancer is both destination and journey. Medicine is primarily concerned with the quality of the destination - the remission, the cure. Massage is primarily concerned with the quality of the journey - the care of the mind and the spirit. Massage soothes the body, easing mind and spirit. Mind and spirit in turn remind the body of its God given power to self-heal. I look forward to sharing with you the relaxation and deep peace of caring touch appropriate to your medical and life situation.